Maintaining that start-ups generate employment, bring innovation and is expected to be key partners in 'Make in India' programme, Union Finance Minister Arun Jaitley in his budget speech on Monday proposed to assist their propagation through 100 percent deduction of profits for three out of five years for start-ups set up between April 2016 and March 2019. The Moving Annual Total (MAT), however, will be applicable in such cases, but the capital gains will not be taxed if invested in regulated/notified fund of funds and by individuals in notified start-ups, in which they hold majority shares. 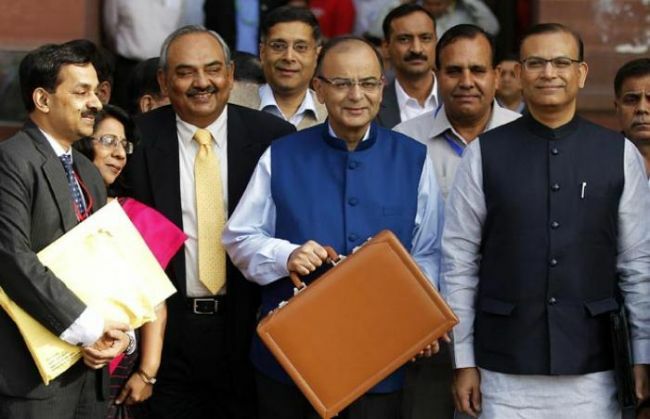 To get more investment in Asset Reconstruction Companies (ARCs), the Union Finance Minister proposed to provide a complete pass through of income-tax to securitisation trusts, including trusts of ARCs. He said the income would be taxed in the hands of investors instead of the trust. However, the trust will be liable to deduct tax at source. The period for getting benefit of long term capital gain regime in case of unlisted companies was proposed to be reduced from three to two years. Jaitley also said that non-banking financial companies would be eligible for deduction to the extent of 5 percent of their income in respect of provision for bad and doubtful debts. He reiterated the commitment to implement General anti-avoidance rule (GAAR) from April 1 next year. The Finance Minister said to meet the commitment to Base Erosion and Profit Shifting (BEPS) initiative of the Organisation for Economic Co-operation and Development (OECD) and G-20 nations, the Finance Bill 2016 includes provision for requirement of country by country reporting for companies with a consolidated revenue of more than Euro 750 million. He further proposed to exempt service tax on services provided under Deen Dayal Upadhyay Grameen Kaushalya Yojana and services provided by Assessing Bodies empanelled by the Ministry of Skill Development and Entrepreneurship. He also proposed to exempt service tax on general insurance services provided under 'Niramya' Health Insurance Scheme launched by National Trust for the Welfare of Persons with Autism, Cerebral Palsy, Mental Retardation and Multiple Disability. The Finance Minister also proposed to extend 'nil' basic customs duty to Braille paper.